I’ve said it before and I’ll say it again it doesn’t matter what you eat it’s the amount you eat that matters if you want to reach and maintain a healthy weight. I’ve witnessed people on ‘diets’ wolfing down tubs of cottage cheese and seen the triumphant tweets as another milestone few pounds are shifted on a diet that awards points to food. Diets are not sustainable. Variety is the spice of life so have variety. Do not restrict your diet, do not cut out anything but do cut back, just because it’s there doesn’t mean you have to eat all of it now – you can have some more tomorrow. Be sensible. Change your portion size at dinner – palm size of protein (palm does not include your fingers! ), fist size of carbs (yours not Mohammad Ali’s), and have vast amounts of vegetables. If you need to lose some weight then stop eating after 6pm and do some extra exercise until you shift the pounds, then maintain your healthy weight by moderately exercising and watching your portion sizes. Stop eating the kids leftovers. If you go out tonight and have a three course meal then dinner tomorrow should be vegetable soup or something light. It’s about balance and moderation. Be sensible. The latest food war being waged is against sugar, this in a world that has shifted from dissing butter, fat, eggs and salt. Sugar makes things sweet and I like sweet things. Sweet things are for treats and desserts, they are for occasional indulgence. Sugar is not your enemy. Be sensible. Desserts in restaurants are huge so share them – you don’t really want to feel bloated do you, you just want to feel satisfied. 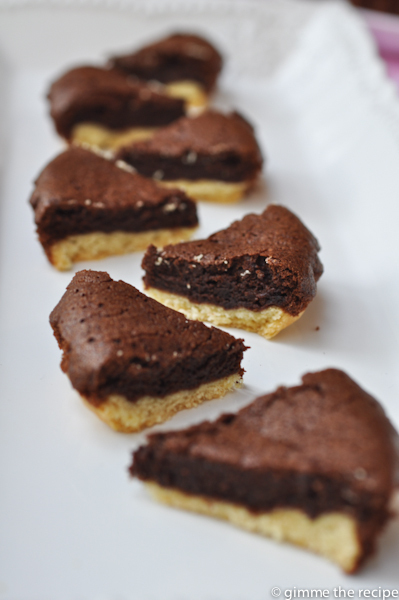 These chocolate tartlets contain butter, sugar, eggs & chocolate. All real, good foods but too much of it will make you fat. You don’t want to be fat so just have a little piece. I would make these for a special occasion where there are lots of people around to share and cut each tartlet into bite-size morsels. When I’m cooking I think I’m like most people and regularly hurried and without the luxury of time to wait for things to set or rise etc. 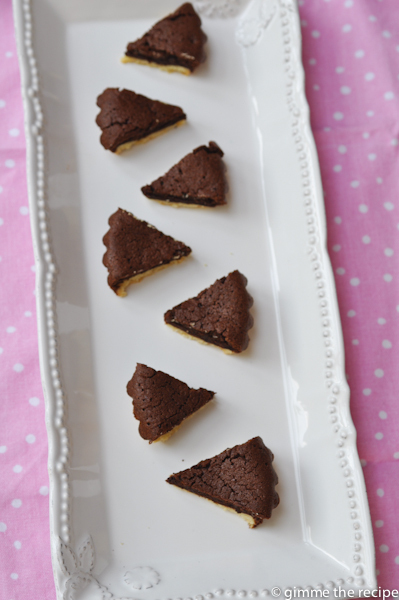 In this recipe I use a small quantity of shortcrust pastry to make a light biscuity base for the tartlets. Shortcrust pastry should really get to have a little rest in the fridge before it’s rolled but here I don’t and you know what it works out just fine. Pre-heat the fan oven to 180C. Use a food processor to mix the flour and cold butter together until breadcrumb texture then add in the caster sugar, egg yolk and water and mix until comes together into a dough ball. Lightly flour a work-surface and rolling pin. 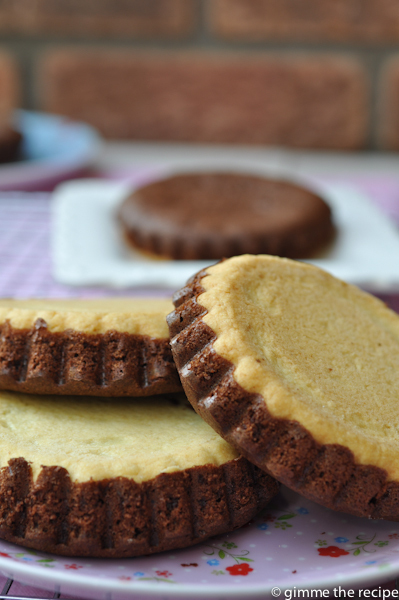 Roll out the pastry and invert your tartlet tins to cut out pastry to their size. 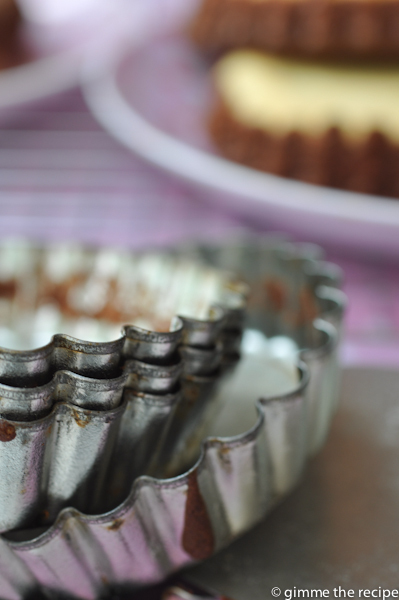 Line each tartlet tin with a pastry base, don’t worry if it doesn’t reach all the way up the sides. 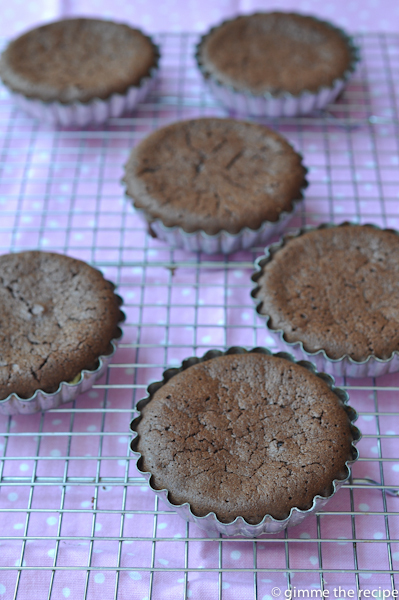 Use pie weights – I put them in a cupcake case – and then bake the pastry bases in the hot oven for 10 minutes. Remove from oven and reduce heat to 170C . Pre-heat the fan oven to 170C. 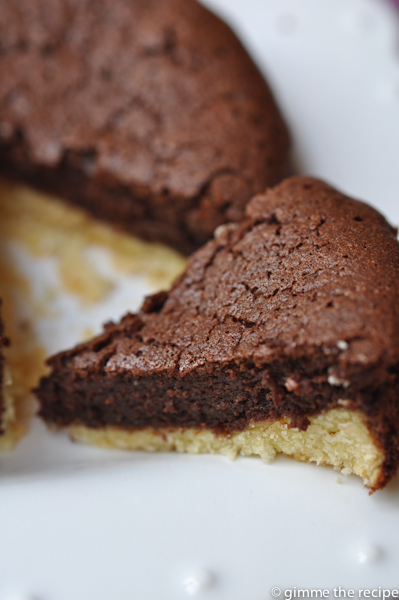 Break the chocolate and roughly chop the butter into a bowl and melt together in the microwave. Place the light brown sugar in a saucepan, add the water and bring to the boil stirring to create a syrup over a high heat. Use an electric whisk to add the syrup in to the melted chocolate and butter, keep whisking until smooth. Whisk in the 2 egg yolks then place the bowl in the fridge to cool while you whisk the egg whites. Whisk the 3 egg whites with a pinch of salt until beginning to thicken and hold soft peaks. Remove the chocolate mixture from the fridge and use a spatula to gently fold and stir in the egg whites until all is well combined but without beating. 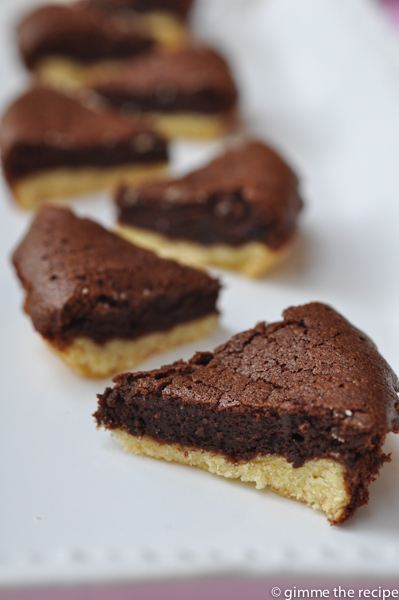 Pour the chocolate mixture into the semi-cooked pastry cases and return to the oven to bake for 20 minutes. 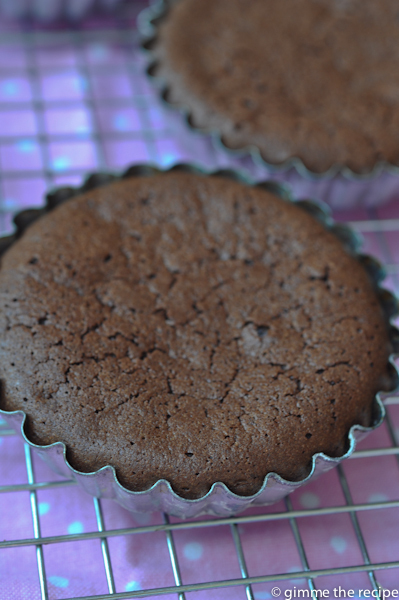 Remove from oven and allow the tartlets to cool in the tin. I suggest slicing each tartlet into 6 bite-size pieces. P.S. 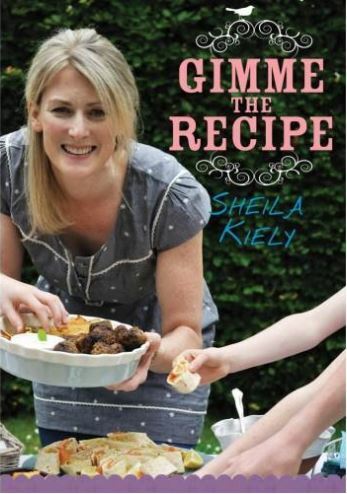 Voting for the Irish Blog Awards 2015 opens on 7th September for 2 weeks and I’d love it if you’d vote for ‘Gimme The Recipe’ to reach the finals of the Food & Drink category. Lovely tartlets. I agree 100% on the dieting thing. It is a waste of time and ultimately leads to an unhappy person. 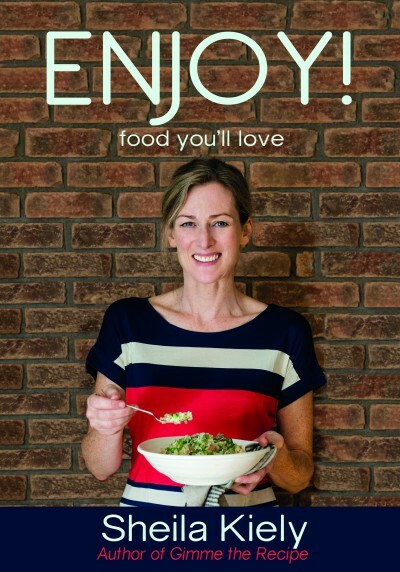 There is an old saying “If you want to lose weight, leave it on your plate.” Sage advice. The other option is to get a bike and do some distance cycling. This presents me with an opportunity to crow about calorie burn. We went up the Wicklow hills last Sunday and burned off over 3,000 calories in the morning. I ate like a horse for the next couple of days. Regular cycling is a great diet substitute (as is any exercise). There are very few people who look as good in Lycra as I do. It must be something to do with my physique! Don’t come to Wicklow looking for scones or anything else edible on a Sunday morning. There are more cyclists than sheep. Thanks so much for the vote in Cono Sur. I really appreciate it. Hopefully we can meet up at the Blog Awards?